As I've mentioned, I'm a girly girl, so you can see why this sandal from Aldos was a must have for me. 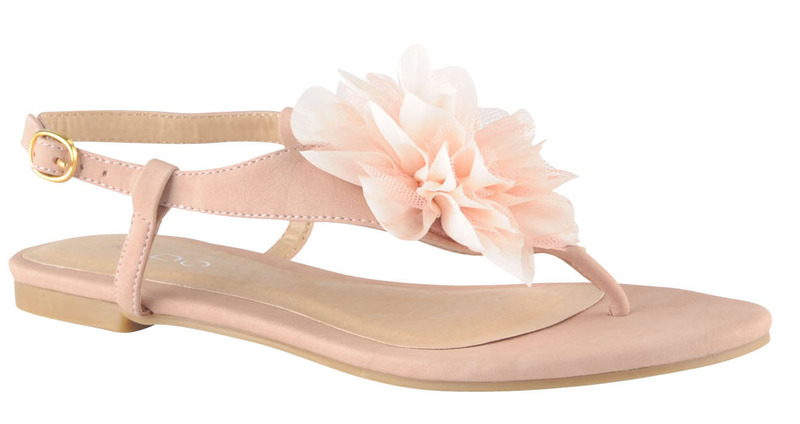 This is Michaels, a straight forward sandal, with a small block heel, adjustable ankle strap and T-strap with, of course, the flower. For $40, you can't go wrong.